Nazila had a life to call her own, once: a home in Rihad, a husband who loved her, and their first child on the horizon. That was before Emperor Titus Mede signed part of Hammerfell over to the Dominion, leaving the Forebears to fight a ruinous battle on their southern borders. Now, there is only the King's justice, which calls Nazila away from her homeland and compels her into Tamriel's frozen north. Officially, she's a diplomat assessing the viability of Redguard intervention in the Stormcloak war effort. 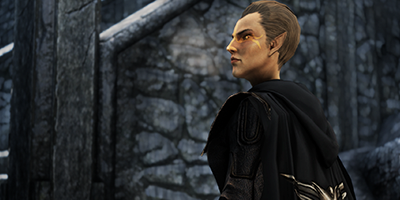 Unofficially, Nazila is there to report back on the Dominion's influence in Hammerfell's northern neighbour. 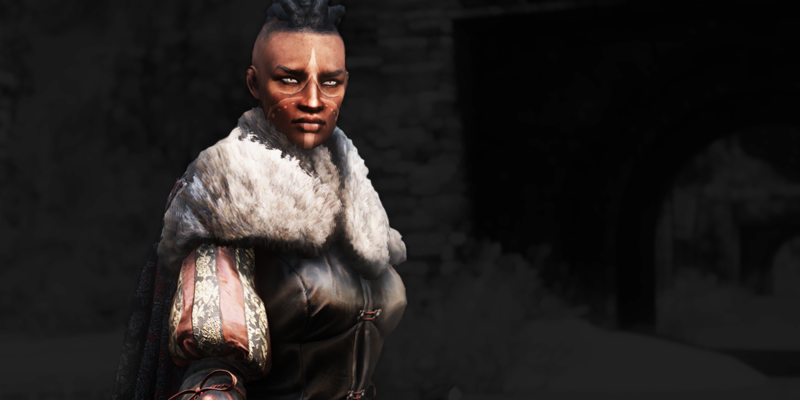 Hosted by the Jarl of Windhelm, it's a mark of Nazila's skill that she manages to navigate the conflict as well as she does; she is, after all, a foreign spy, an outsider to a war effort that furiously rejects any form of external meddling. That isn't to say her presence in Skyrim has gone unnoticed: the Stormcloaks whisper darkly of Hammerfell's guiding hand in their supposedly-sovereign nation, whilst the Dominion look to cultivate a relationship with the Redguardian envoy - or else discredit her entirely in the eyes of her allies. As the ice lays siege to Windhelm, Nazila must weather the long winter alone; at the mercy of the dark, forbidding city. and its distant leader, a man as as fascinating as he is remote. 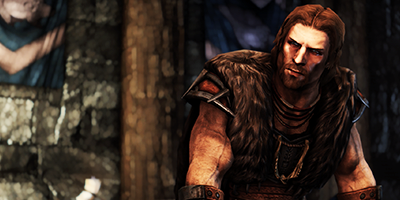 The leader of the Stormcloak rebellion is as cold and forbidding as the city from which he hails. Meeting Nazila at her own game is the most fun either of them have had in years. 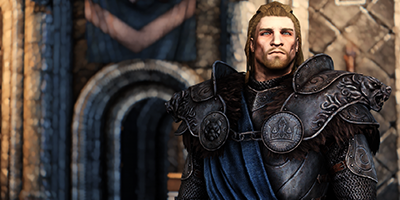 One of Ulfric's highest-ranking officers, Yrsarald is a familiar sight in Windhelm; a voice of reason during heated discussions. He's the closest thing Nazila has to a friend within the city. The Stormcloaks may have dismissed Elenwen as ineffectual, but Nazila knows better. The First Emissary is both cunning and perceptive - and Nazila's presence has not gone unnoticed.